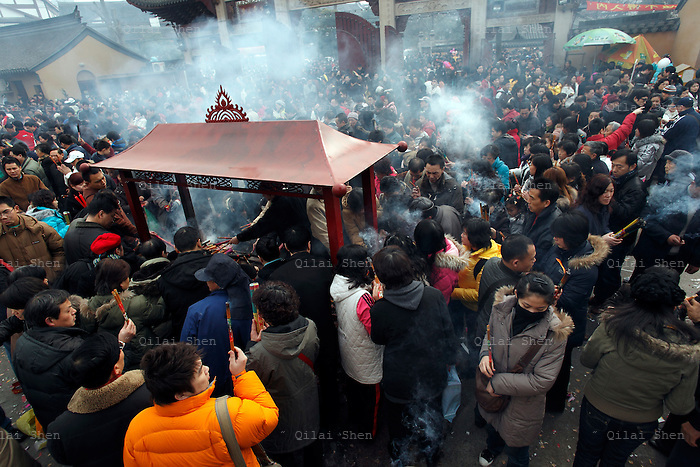 Worshippers crowd into Longhua temple to make their Chinese New Year prayers and well-wishes in Shanghai, China on 26 January, 2009. Today marks the first day of the Year of the Ox in accordance with the lunar calendar.Worshippers crowd into Longhua temple to make their Chinese New Year prayers and well-wishes in Shanghai, China on 26 January, 2009. Traditionally the first day of the lunar new year is an auspicious day to offer prayers and honor ancestors.